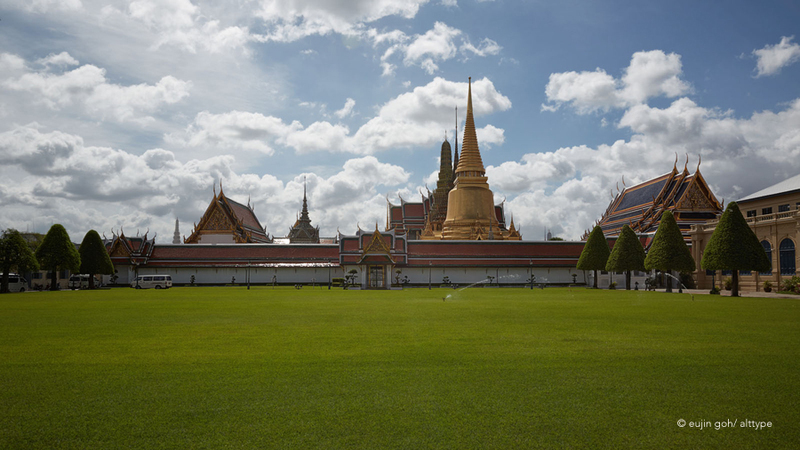 Officially known as Wat Phra Sri Rattana Satsadaram, the temple is located in the historic centre of Bangkok, within the grounds of the Grand Palace, it enshrines Phra Kaew Morakot (the Emerald Buddha), the highly revered Buddha image meticulously carved from a single block of jade. Image | This entry was posted in Architecture, Travels and tagged alt.type, alttype, Architecture, Bangkok, Eujin Goh, photography, Temple of the Emerald Buddha, Thailand, travels, Wat Phra Kaew. Bookmark the permalink.